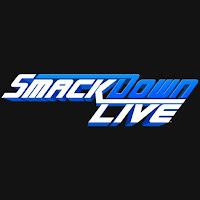 Tonight's WWE SmackDown opens live from the PNC Arena in Raleigh, North Carolina as Tom Phillips welcomes us. He's joined by Corey Graves and Byron Saxton. They hype tonight's show - The Miz and The Bar vs. The New Day, Lana vs. Naomi in a Dance-Off, Samoa Joe vs. Daniel Bryan in the final Money In the Bank qualifying match. - We go right to the ring and out comes Samoa Joe. Joe enters the ring and he sets up the ladder in the center of the ring. Joe climbs the ladder and he takes the briefcase. Joe says it is said in biblical texts that the ladder is the connection between the Earth and the heavens. It is said when Jacob looked upon his ladder, angels descended and gave him salvation. Joe says his version is very different. There is no salvation. There are no smiling angels. 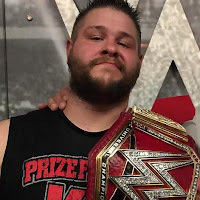 After Money in the Bank, he will be smiling like he is now. Joe says he will have secured his championship opportunity and secured his title match. 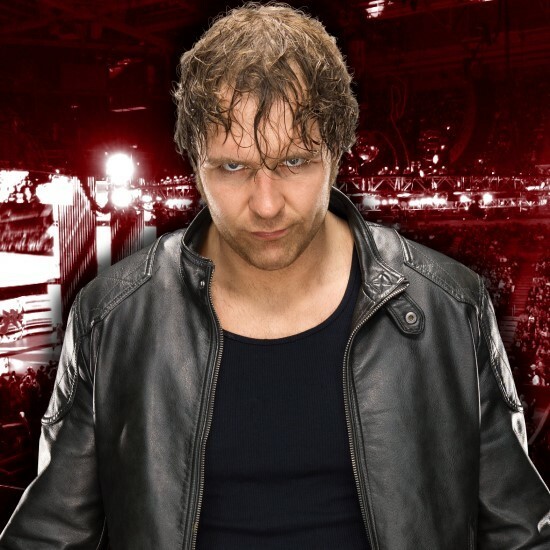 He will unleash a reign of terror over the Smackdown champion. Tonight, he proves to your beloved Daniel Bryan there are things far worse than forced retirement. Joe tells Bryan if your eco-friendly tree hugging sensibilities allow it, he tells Daniel to call Brie to tell her daughter a story. She needs to be told that daddy will be home for Money in the Bank, but he won't be the same man. He will have the eyes of someone who is drenched in regret, failure, and missed opportunity. When she looks up, Joe says he hopes she is told it was a very bad man by the name of Samoa Joe. Daniel Bryan comes out and he says there are certain lines that you do not cross. Daniel says he has his own vision. You mention his wife or daughter again and he will break Joe's leg. We all know where this goes. We don't have to wait. We can fight right now. Before they can start their match, Big Cass comes out on his crutch. Cass asks what is happening here. Are we children on the playground making fun of each other. What else would you expect from the shrimp and the blimp. The fact of the matter is that should be his Money in the Bank opportunity, not yours Daniel. This crap has to stop. It will, because he spoke to Paige and this match will not happen. What will happen is Samoa Joe will take on yours truly for the final spot in the Money in the Bank Ladder Match, when he is cleared. Cass asks rhetorically, when will he be cleared and he says he is cleared. He swings the clutch but Bryan backs him into the corner and unloads as the "yes!" chants pick up. Cass launches Bryan into the ladder in the corner and he goes down. Cass drops Joe with a briefcase shot next. Bryan also eats a briefcase shot. Cass raises the briefcase and is all smiles as the boos continue. Cass stands tall with the briefcase as his music hits. Joe is down on the outside while Bryan is laid out in the ring. - We see Shinsuke Nakamura backstage walking. He has signs that are numbered from 1-10. He gets to the 10 sign and rips it up. Nakamura vs. Tye Dillinger will take place tonight. We go to commercial. Paige is in the back and she wants to know if there are any issues. Sonya Deville and Mandy Rose stop Paige. Mandy and Sonya talk about the pressure she must be under. Sonya says they are giving opportunities to people who don't deserve it. Sonya asks what has Asuka done lately. Mandy says that Charlotte beat her at Wrestlemania and then lost her first Smackdown match. Paige says that Mandy gets to face Asuka tonight to see why she is a contender for the title. Renee Young stops Paige for comments next and asks if Cass was telling the truth about tonight's main event being Cass vs. Joe instead of Bryan vs. Joe. Paige says she did not know that Big Cass was going to talk for her. She did like the fire from the roster. She says that Big Cass is medically cleared. 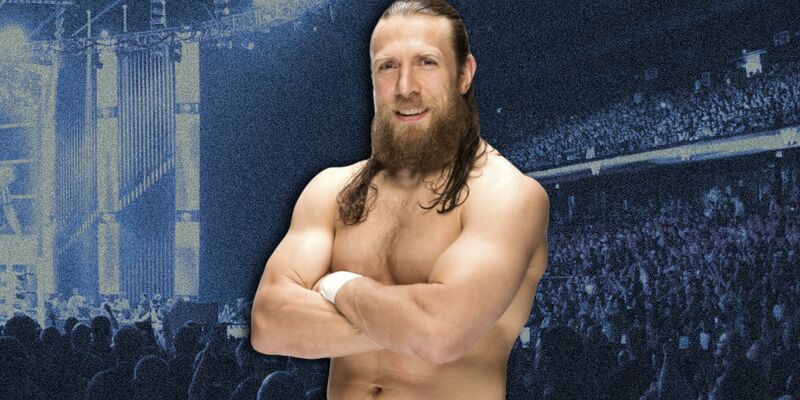 Daniel Bryan earned his second chance. That means the only fair way to do it is to make it a Triple Threat Match. Dillinger pushes Nakamura but Nakamura with a knee and forearm. Dillinger avoids a round kick and chops Nakamura and then sends Shinsuke into the turnbuckles. Dillinger with chops and he punches Nakamura in the corner. Nakamura with kicks and knees on the floor. Dillinger drop kicks Nakamura off the apron and then he goes for a suicide dive, but he is met with a kick from Nakamura. Nakamura kicks Dillinger in front of the announce table but Dillinger with a kick. Nakamura with a punch and then he sends Dillinger into the ringside barrier. They return to the ring and Nakamura with a slam and he gets a near fall. Nakamura chokes Dillinger in the corner. Nakamura with a knee drop. Nakamura with a chin lock and he takes Dillinger down to the mat. Dillinger with elbows and chops to Nakamura once he gets back to his feet. Nakamura with a hard Irish whip. Nakamura returns to the chin lock. Dillinger with a jaw breaker but Nakamura with a knee to the midsection. Nakamura starts his own count while Dillinger is down. Dillinger with a chop followed by a knee to the midsection and an axe kick. Nakamura starts to make his count. 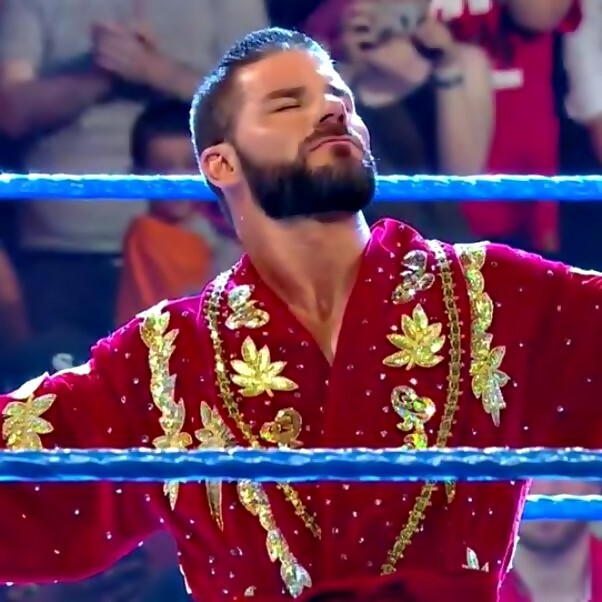 Nakamura with knees in the corner and then he puts Dillinger on the turnbuckles and connects with a running knee to the midsection. Nakamura counts again but Dillinger gets back to his feet before the unofficial count gets to ten. Dillinger shows Nakamura what ten is and Dillinger mocks Nakamura. Dillinger with punches and a chop. Nakamura with a knee to the midsection but Dillinger with a clothesline. Dillinger with a knee to the head and Nakamura goes to the apron. Nakamura with a kick and then he hits a jumping boot off the turnbuckles. Nakamura with Kinshasa for the three count. After the match, Nakamura with a knee to the back of the head and he gets on the mic and starts to count to ten. AJ Styles is in the interview area and he is asked about Nakamura's match and the Last Man Standing Stipulation. AJ says he saw what Nakamura did to Tye and he did not forget what happened last week to him. Something has snapped inside Shinsuke and there is some twisted reason for it. He says he thinks Shinsuke is more dangerous than ever. AJ says this is the story of his life. His opponent thinks he has the advantage and he underestimates AJ. 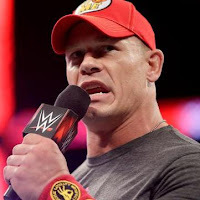 That is why he is the WWE Champion. He fights smarter than the guy who is stronger and bigger than him. He is the last man to back down from a challenge. 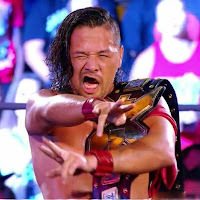 Nakamura will try to tear down everything that he has tried to build, but in the end he will be the last man standing. - Rusev and Aiden English are trying to give Lana dance tips for her dance off against Naomi. We go to commercial. We go to the ring as Greg Hamilton introduces Rusev and Aiden English. They come out to the stage and English sings/raps the introduction for Lana. Rusev finishes with the "Lana is the best, Lana is #1" tune as Lana makes her way out for this Dance-Off. Naomi is out next. She stops on the ramp and brings out some back-up - The Usos. Noami heads to the ring as both sides face off. Hamilton announces the rules for the dance contest. Lana is up first and she gets a pop. Noami is next and it sounds like her pop is louder. They dance together next and then hug but Lana turns on Naomi and drops her. Things fall apart now. The segment ends with The Usos superkicking Rusev Day out of the ring before Naomi drops Lana with a Rear View as she charges in. Naomi's music hits as she and The Usos celebrate. - Still to come, Bryan vs. Joe vs. Cass for the final MITB spot. - We see The New Day backstage pulling shenanigans with a platter of pancakes. The Miz and The Bar are shown in their dressing room, practicing against pancakes. The Bar and The Miz vs. The New Day will take place tonight. Back to commercial. We are back and Miz gets a near fall on Kofi. Sheamus tags in and he kicks Kofi in the midsection. Sheamus with a top wrist lock. Kofi with punches but Sheamus runs Kofi into the turnbuckles and Cesaro tags in and hits a running European uppercut for a near fall. Sheamus tags in and he knocks Woods off the apron. Cesaro tags in and he hits an elbow drop from the turnbuckles while Kofi is across Sheamus' knee. Cesaro gets a near fall. Cesaro with a front face lock and Irish whip but he misses a running European uppercut into the corner. Miz is sent to the floor as well. Miz tries to pull Big E off the apron and Big E goes to the floor and he punches Sheamus. Cesaro with a baseball slide to Big E and then Big E is sent into the ringside barrier by Sheamus and Miz. Kofi with a rollup for a near fall. Sheamus with a kick and Cesaro gets a near fall. Miz tags in and he sets for the Skull Crushing Finale but Kofi escapes and hits SOS. Woods gets back on the apron and he is tagged in. Sheamus tags in and he hits a super kick to the head and knee. Woods with a kick and he hits a satellite head scissors. Woods with an enzuigiri to Miz. Woods lands on his feet on a belly-to-back suplex attempt and Sheamus misses a shoulder and goes into the turnbuckles. Woods with a senton onto Cesaro off Sheamus' back. Woods with a slingshot tornado DDT for a near fall. Renee Young is in the interview area and she is joined by Karl Anderson and Luke Gallows. 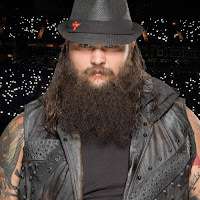 They are asked about their title match at Money in the Bank and how to prepare for the Bludgeon Brothers. Luke says Karl puts the abs in absolutely shredded. Karl says his hot Asian wife loves his abs. They are hungry and they will do what it takes to become the Smackdown tag team champions. Luke says they asked the Usos about their matches against the Bludgeons. Karl says they will beat the Bludgeons like they are a couple of . . . The Bludgeon Brothers appear on the monitor. Luke says the depraved will infect the decent. Souls will be corrupted. Bodies will be liquefied. Prepare for the Bludgeon Brothers. - Asuka gets ready for her match against Mandy Rose. We see Charlotte and Becky watching the monitor together in the back. Charlotte says Asuka is going to win the title at Money in the Bank. Charlotte says she will win the briefcase and it will set up a Wrestlemania rematch. Becky says Charlotte needs to look at her and then she can see the person who will win Money in the Bank. She says she was fingertips from winning and nothing will stop her this year. Charlotte says she knows how bad Becky wants to win, but Charlotte says she needs to win. She needs her title back. Charlotte says she is going to win. Becky says she is going to win. Paige stops by and she says we need this type of competition. Paige reminds Becky and Charlotte about their time as a unit. She says it is Tea Time. We go to commercial. - We are back and next week Jimmy Uso and Naomi will face Lana and Aiden English. We will also see Charlotte Flair versus Becky Lynch next week. - Andrade Almas comes out of the locker room and Sin Cara stops by to say hello. Zelina Vega wants to know who Sin Cara is and why is he talking to her client. 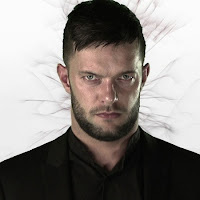 Zelina says that he does not know this man. Andrade is the future of Smackdown while you are a nobody. Sin Cara asks if she is serious and Almas says something and walks away. Bryan punches Cass and Joe pulls Bryan out of the corner and he kicks Cass. Daniel and Joe both kick and choke Cass. Bryan and Joe with a double back elbow to Cass and he goes to the floor. Joe with a chop followed by a snap mare and kick to the back. Joe with jabs. Joe with chops. Bryan flips out of the corner and he hits a baseball slide on Cass to keep him on the floor. Joe with a clothesline to Bryan and Joe with a suicide dive and forearm to Cass. Bryan with a cross body onto Joe and Cass as we go to commercial. We are back and Cass with punches to Joe but he misses a splash into the corner. Joe with an elbow and enzuigiri in the corner. Joe with the Coquina Clutch on Cass and then Joe with a reverse atomic drop on Bryan followed by a boot and back senton for a near fall. Joe with jabs to Cass but Cass with a punch to Joe. Bryan sends Cass into the turnbuckles and then he kicks Cass in the leg. Cass with a punch and Bryan goes down. Bryan is bieled over the announce table by Cass. Cass punches Bryan and then goes back to the ring to deal with Joe. Cass punches Joe and Irish whips him. Joe gets a boot up on Cass. Bryan with a running drop kick to Joe and then he sends Cass into the turnbuckles with a drop toe hold. Bryan kicks the ropes and it hits Cass. Bryan with a baseball slide to Cass. Bryan with a Frankensteiner to Joe. Bryan with a running drop kick into the corner. Bryan with a second one and he sets for a third one but Cass with a clothesline for a near fall. Cass with an elbow drop and punches to Bryan. Cass chokes Bryan but Bryan with kicks and punches to Cass. Cass with a knee to Bryan and we go to commercial. We are back and Joe chops Cass but Cass with a forearm to Joe and he follows with an uppercut. Cass with a forearm to Joe's back. Joe with a chop and jabs but Cass with a spinebuster and elbow drop for a near fall. Bryan with kicks to the leg and Cass catches Bryan on a cross body attempt. Cass with a spinning side slam for a near fall. Cass with punches to Joe while Joe covers up. Bryan with a European uppercut and a dragon screw leg whip. Joe falls victim to the dragon screw by Bryan. Bryan with kicks to Joe and Cass and then he hits a round kick on both men. Bryan with another dragon screw on Cass but he takes too long for the next move and Joe with a Coquina Clutch. Bryan with a bridge for a near fall. Joe goes to the floor when Bryan ducks. Cass misses a boot and Bryan goes for the Yes Lock and he almost has it locked in and he does it but Joe pulls Bryan to the floor. Joe is kicked away by Bryan and Bryan with a running knee off the apron to Joe. Bryan goes up top for the missile drop kick on Cass and he hits it. Bryan gets to his feet and he sets for the flying boot to Cass and he hits it. Joe breaks up the cover and applies the Coquina Clutch. Bryan tries to fight out of it but he passes out. After the match, Cass waits for Bryan to get up. Cass with a boot to the head. After the match, Joe stands tall as his arm is raised and his music hits. We go to replays. Joe makes his exit up the ramp, looking back at the ring to mock Bryan for going to sleep. Joe's music stops as Cass waits for Bryan to get up. Cass charges with a crazed look in his eye and floors Bryan with a big boot. Cass taunts Bryan and stands tall over him with his fist in the air as fans boo. Cass' music starts up as he looks down at Bryan and SmackDown goes off the air.